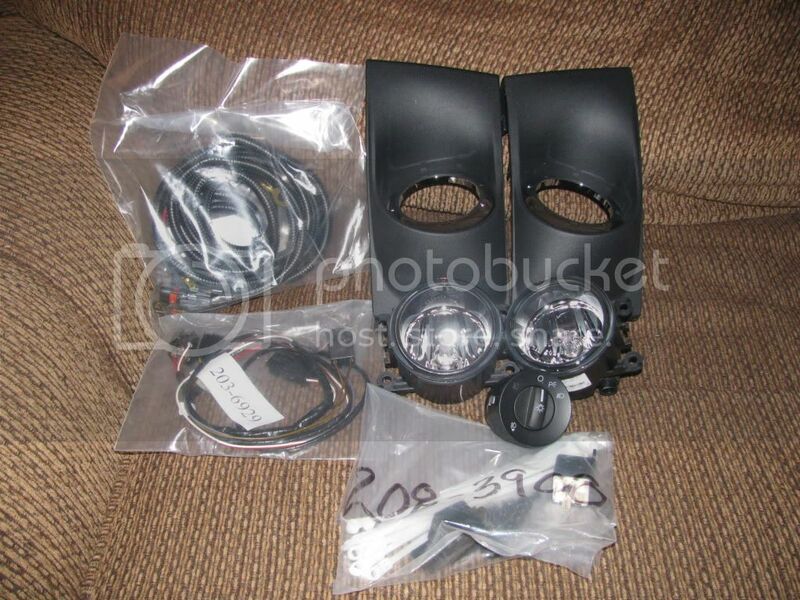 All right then, here we go with the how to install the OEM fog light kit from ford. Now during the installation I ran into a few snags and missed photo opportunities so there will be a few spots where I will go through two steps with one picture. 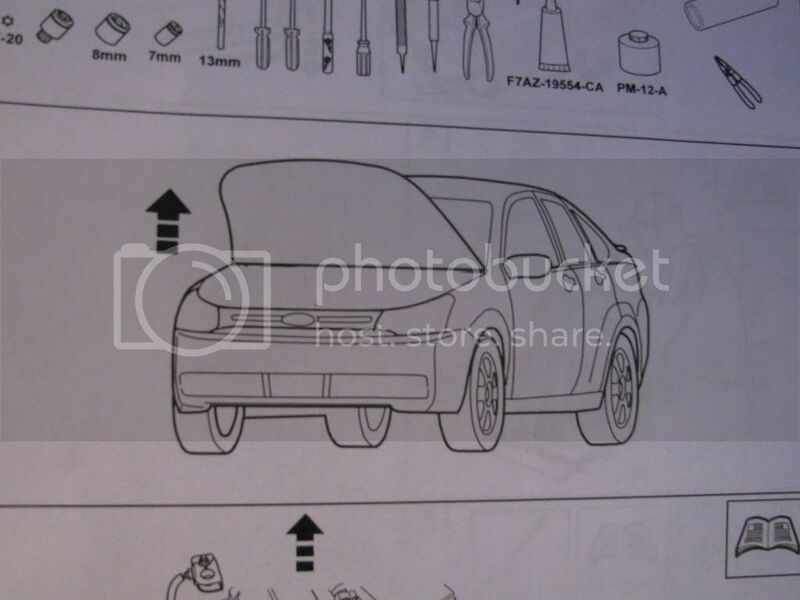 The instructions that came with the kit are confusing at times and down right annoying. So without further stalling here we go. I'll take the next step right out of the book as it's really REALLY hard. 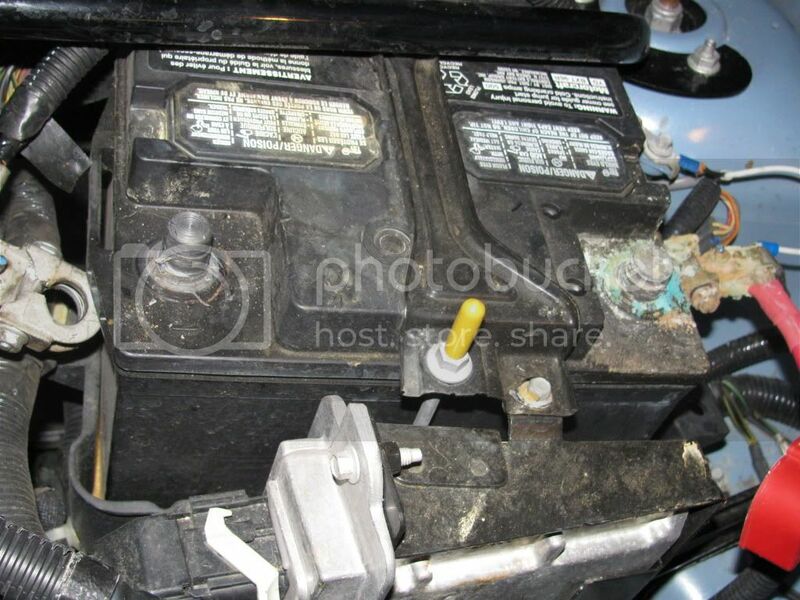 Step 3 is disconect the battery from both terminals. 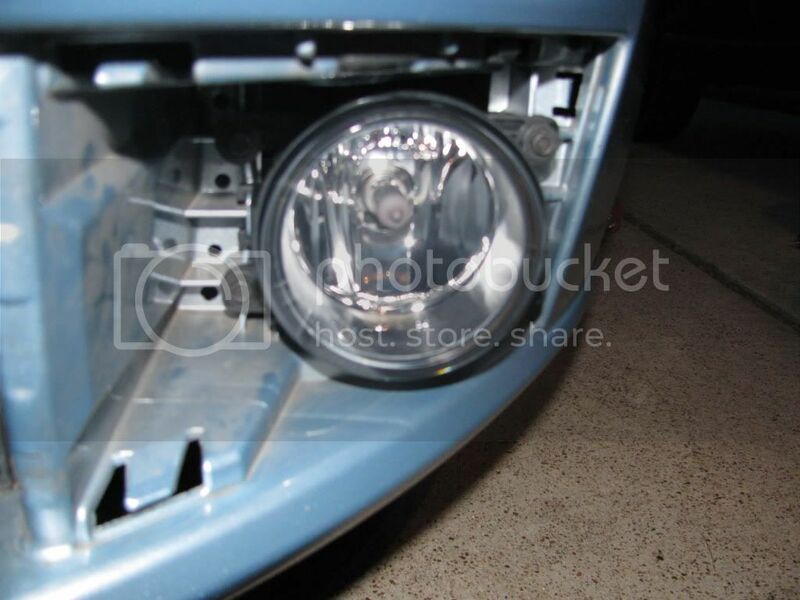 Next step is remove the old plastic covers from the fog light position, this is easily done by grabbing the inside and pulling out and to the outside of the car. Then repeat for opposite side. 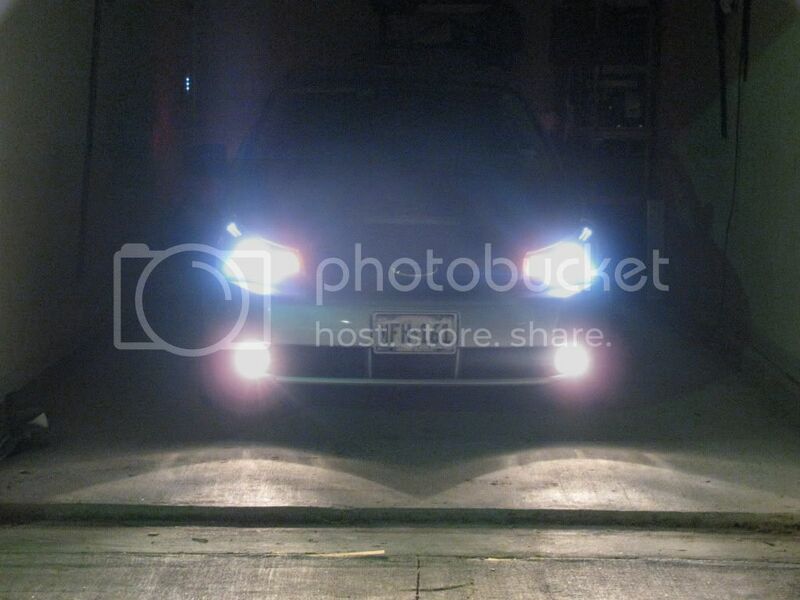 Next take the fog lights and bolt them into the fog light position. 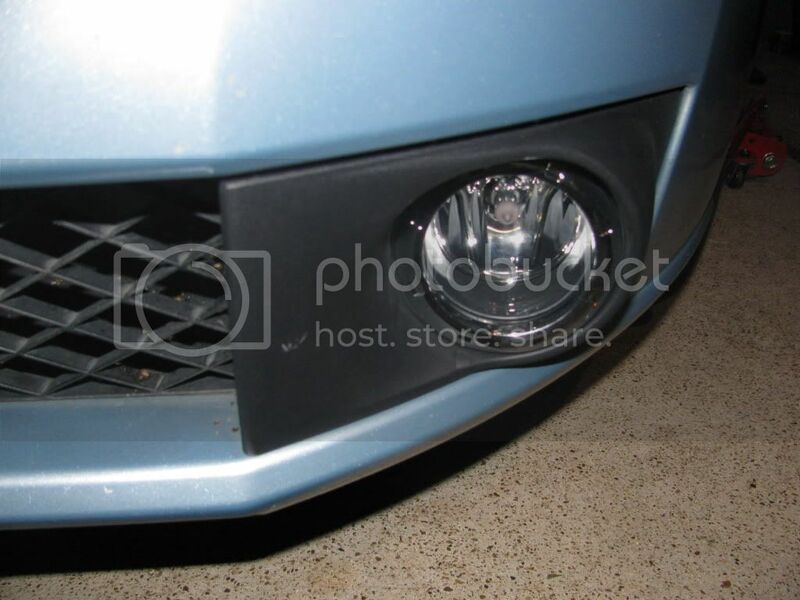 Then place the new covers over the fog lights. 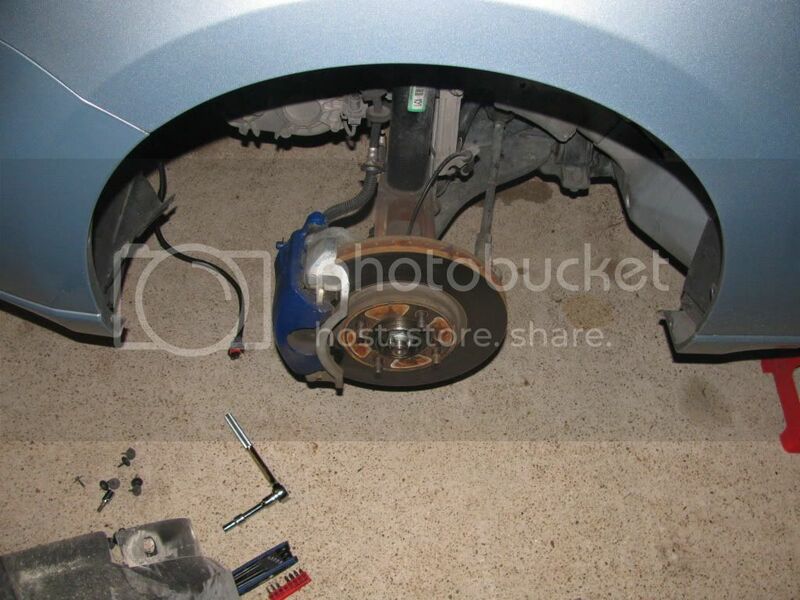 Now for the fun part, remove the front driver side tire and the protective cover in the wheel well. There are a lot of little plastic clips that are annoying and one star bolt. 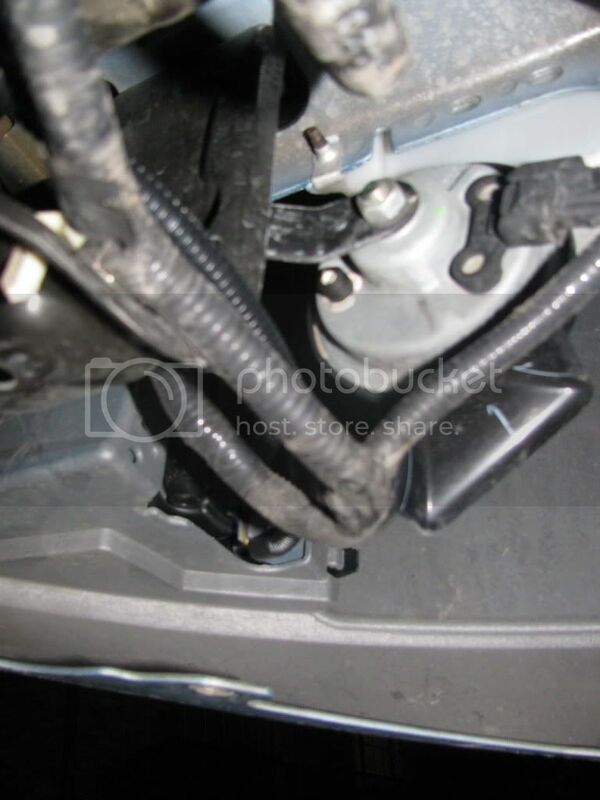 Next get under the car and remove the air dam, more annoying plastic clips. 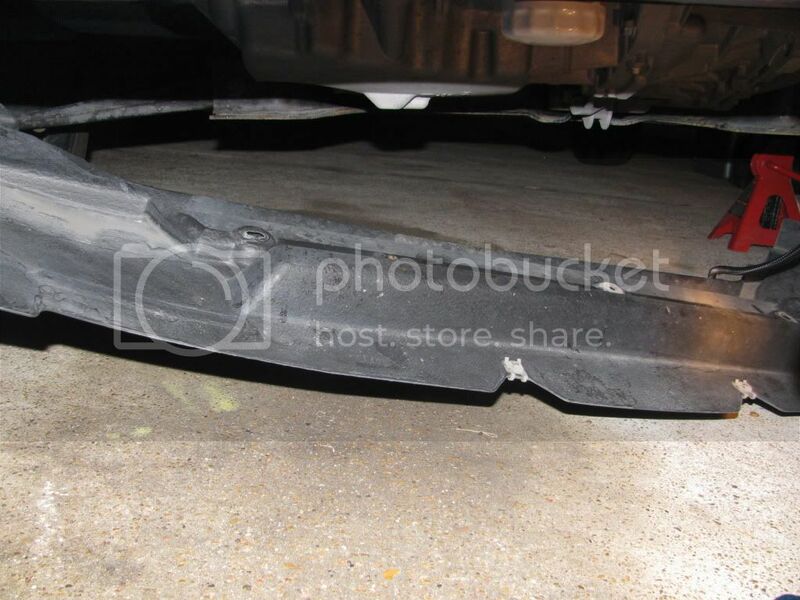 You will notice once you pull down the air dam that the passenger side of it is attached to the passenger wheel well, leave it alone if possible, it's one less thing you have to mess with if you do. 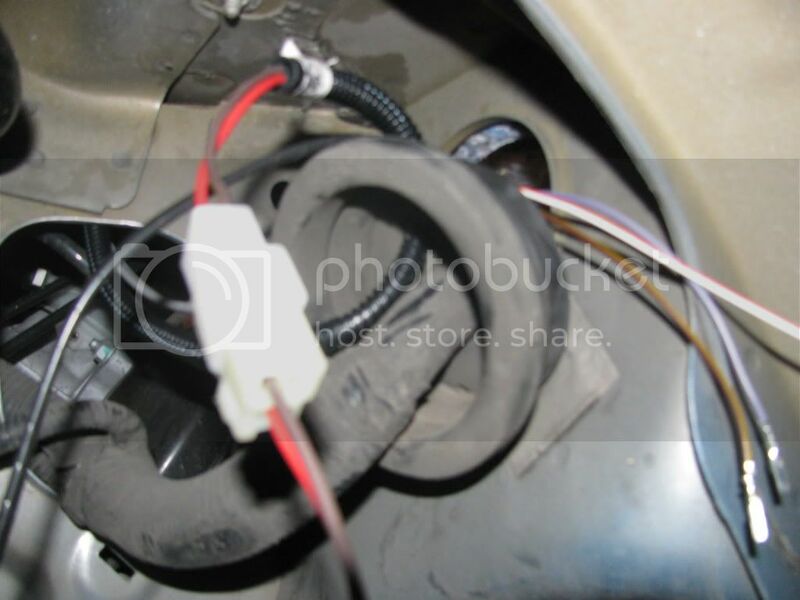 Next run the fog light wiring down the drivers side and plug in the drivers side fog light. 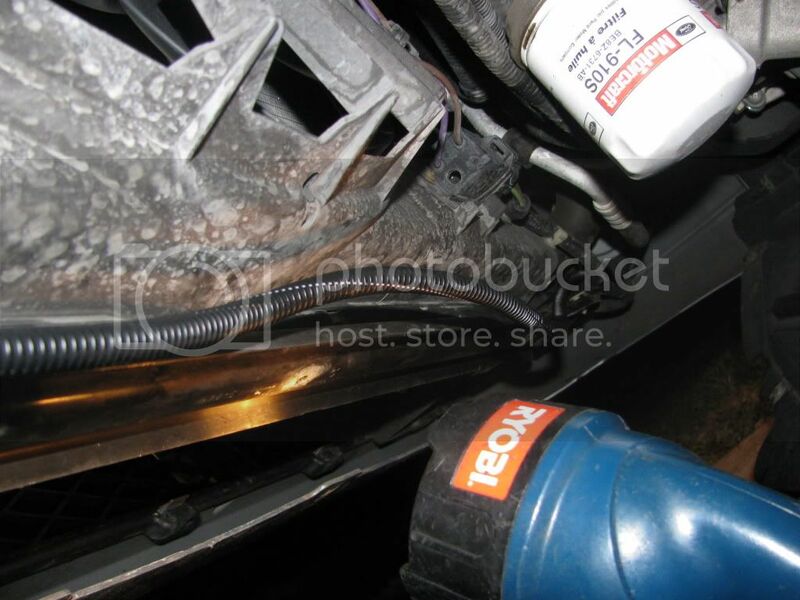 Then take the passenger side line and run that along the metal beam keeping in mind that the air dam has to go back so keep it clean, neat, and out of the way. 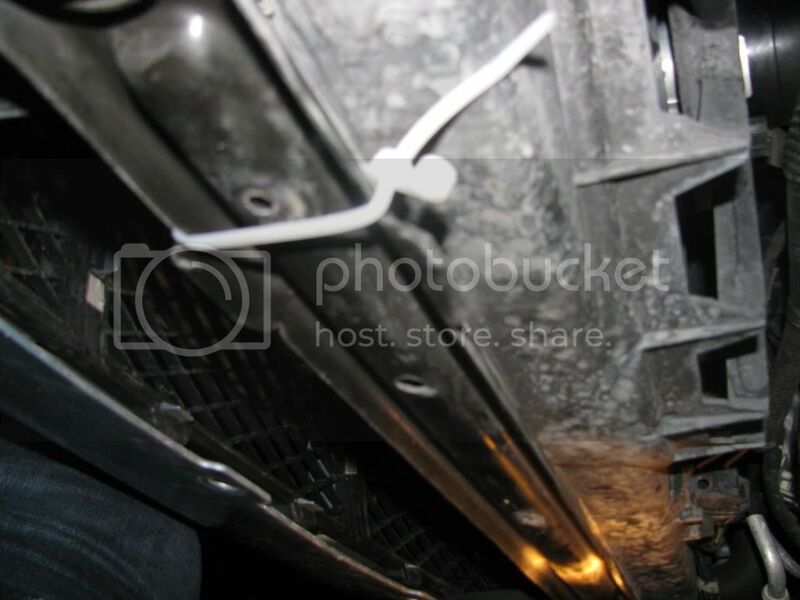 Then plug it into the fog light and zip tie the wires to the beam. 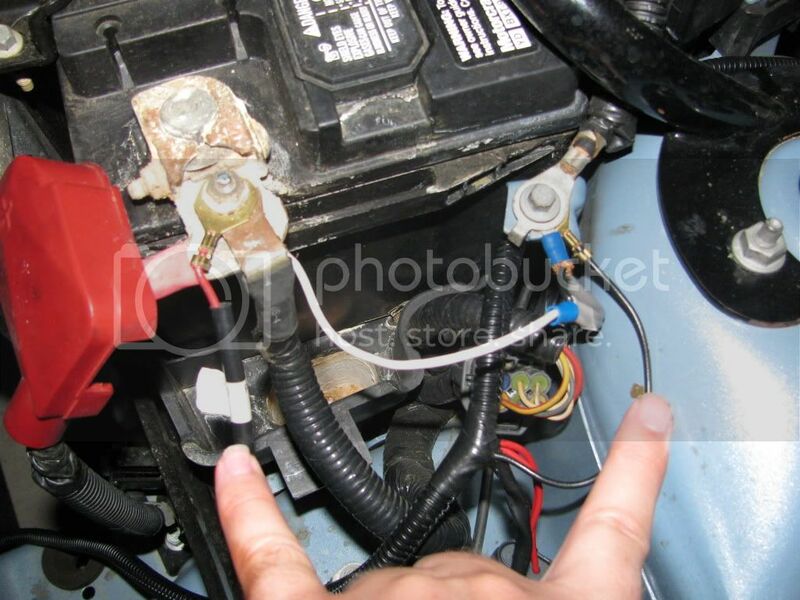 Next you run the wire up toward your battery keeping it as neat as possible. 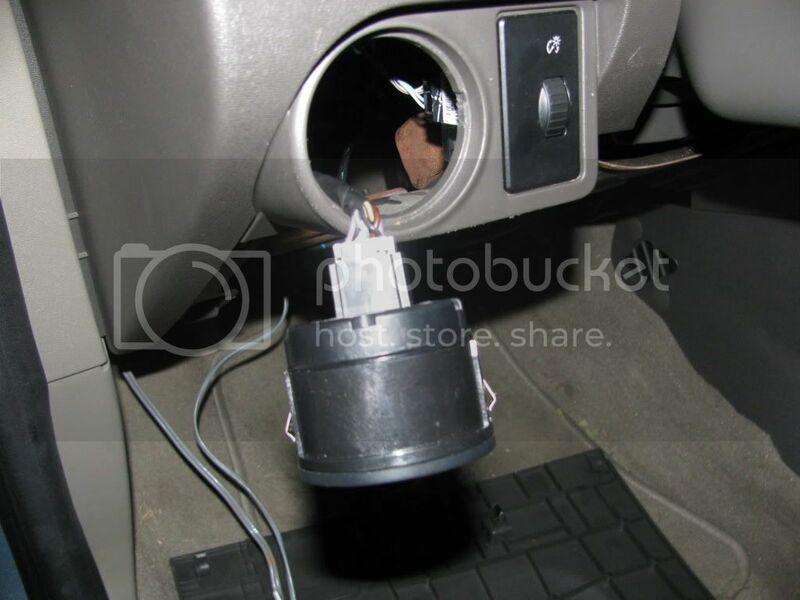 Then down behind your fuse box and tower strut. 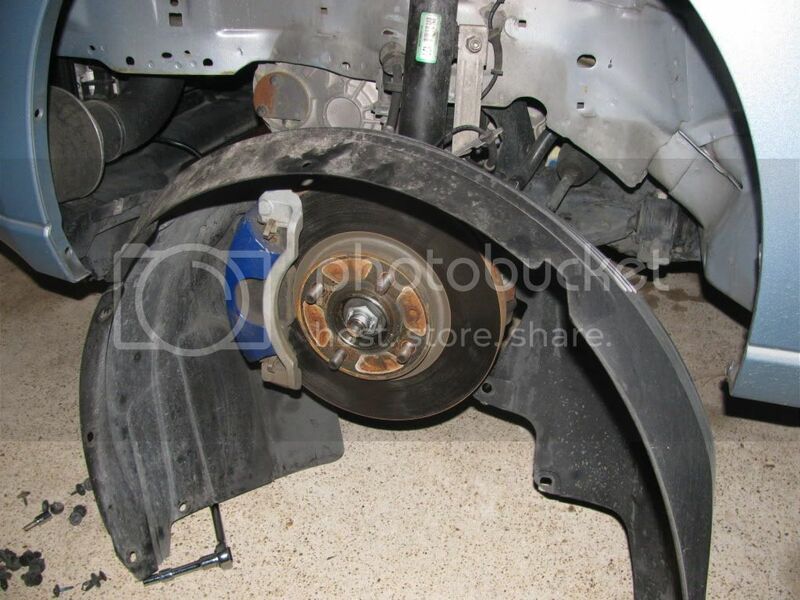 You will have to fish a little to get it through but this is why you took the cover out of the wheel well. Some one said they went in through the place where the clutch would have been but since I have a Manual I went through this little piece of rubber right here. 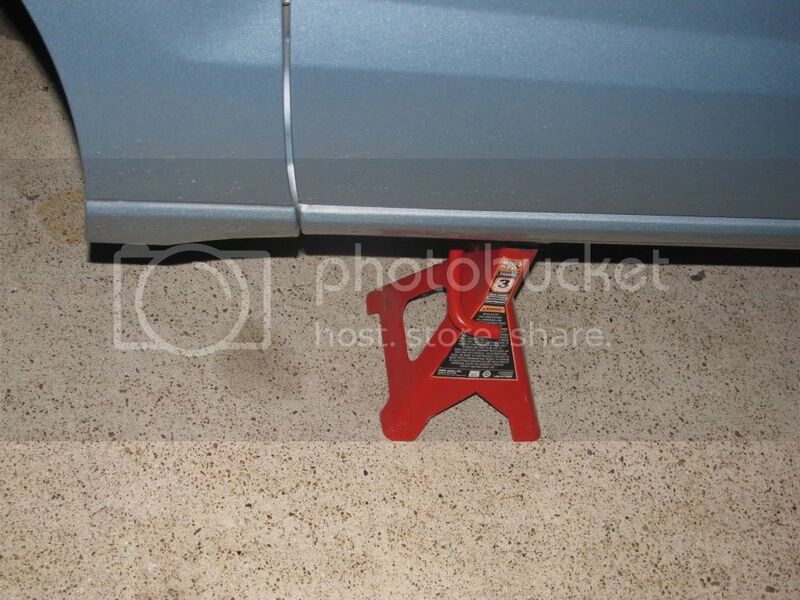 Also the instructions say to drill through the metal but there is no reason to since the rubber is right there. 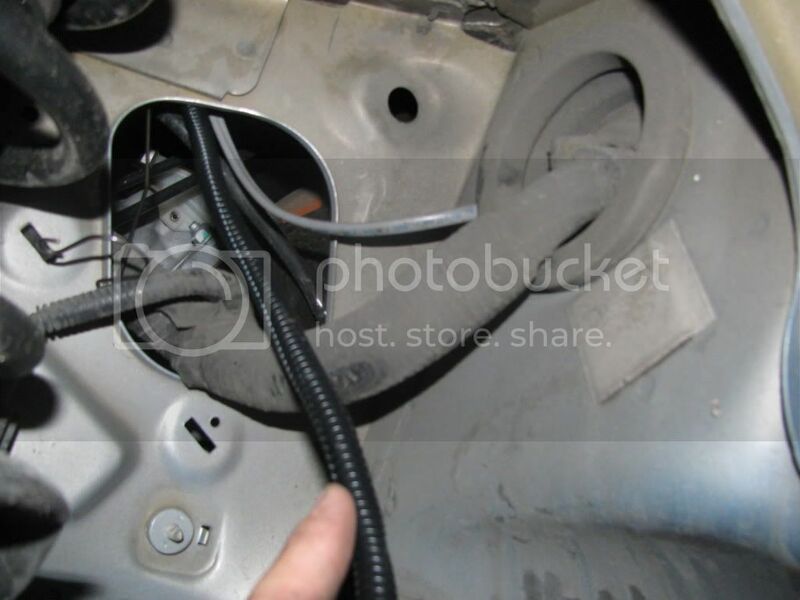 NOTICE: I discovered that the plug in this picture was actually situated incorrectly, make sure that the leads coming into the plug are where they are supposed to be. My kit was manufactured with one of the leads in the wrong position. 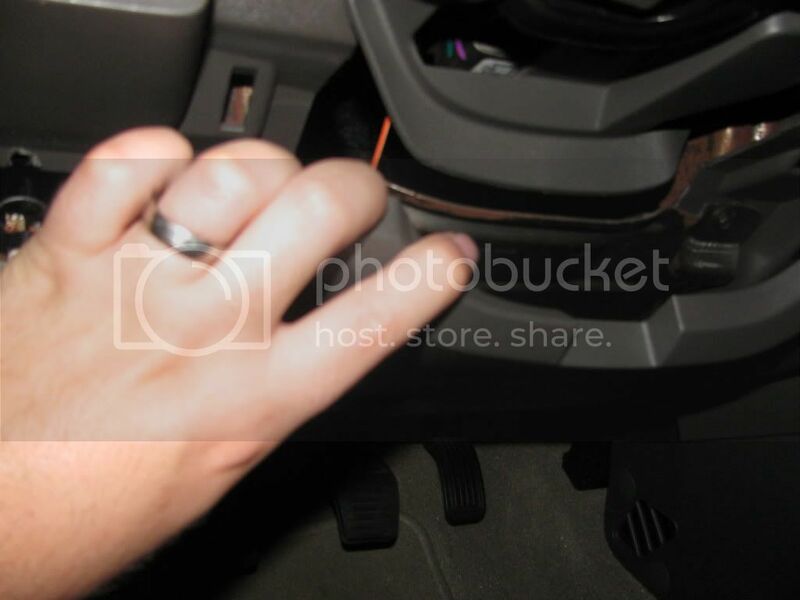 Save hours of trouble shooting by checking this first! 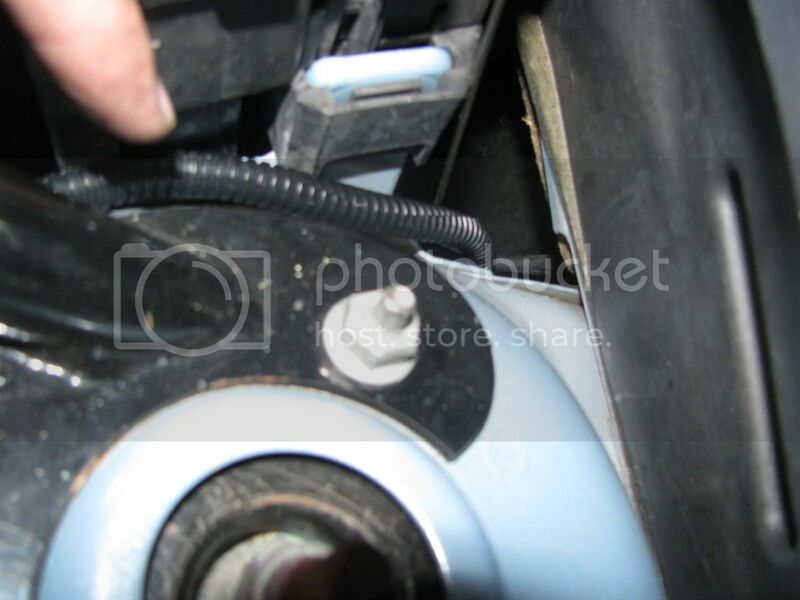 Attach the plug leads correctly and run the wires into the car, you can now reassemble the front end of your car and put the wheel back on. Sadly this is where I ran into some issues with understanding the directions and didn't take any pictures. But unlike the directions I have words to walk you through the process that are WAY easier to understand than the pictures they provide. 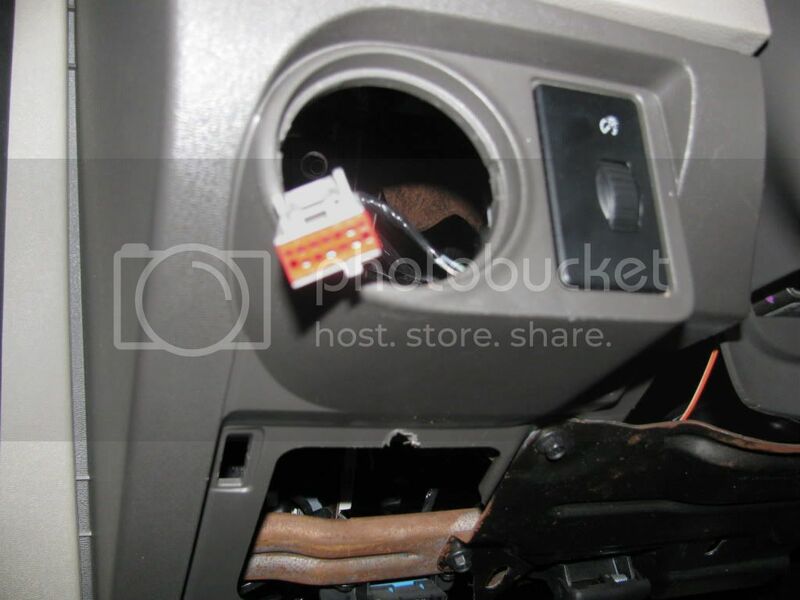 7.replace the red cover for the front and insert plug into new OEM switch. 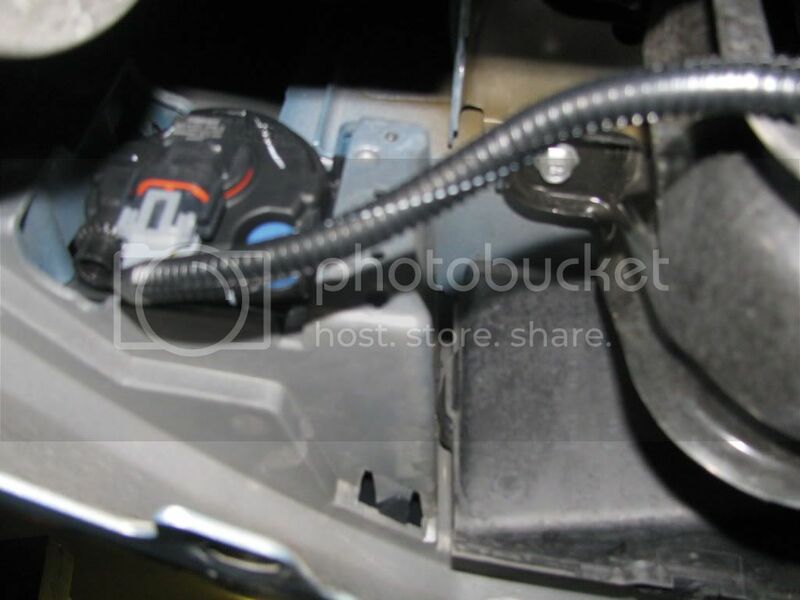 9.take the two relays and insert them into their plugs and hide the wires up out of the way. I hope that this has been a help to anyone trying to do this project and I hope it was what you were looking for, if you have any questions regarding anything in here just PM me or drop a comment and I will get back to you. 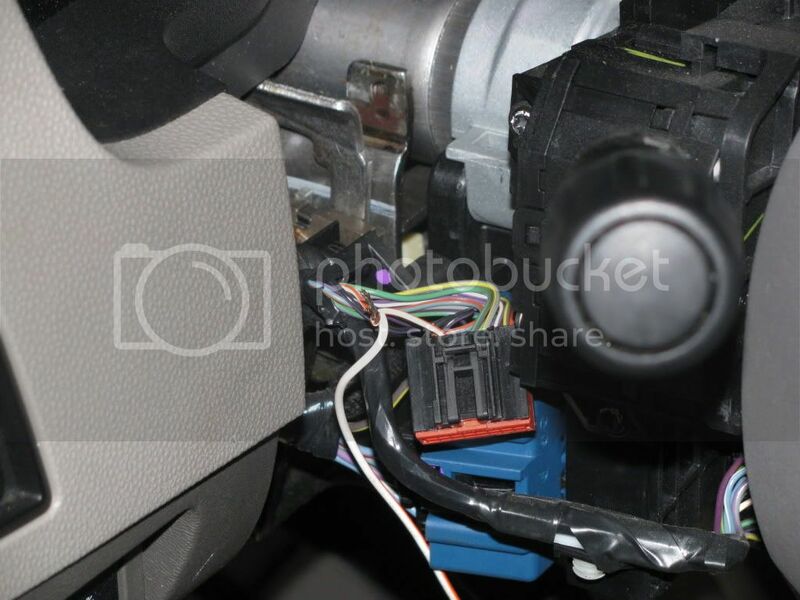 The following takes place after installing the switch and is designed to turn OFF the fog lights while the High Beams are on, I installed it and then took it off after coming into a electrical issue that was non-related. 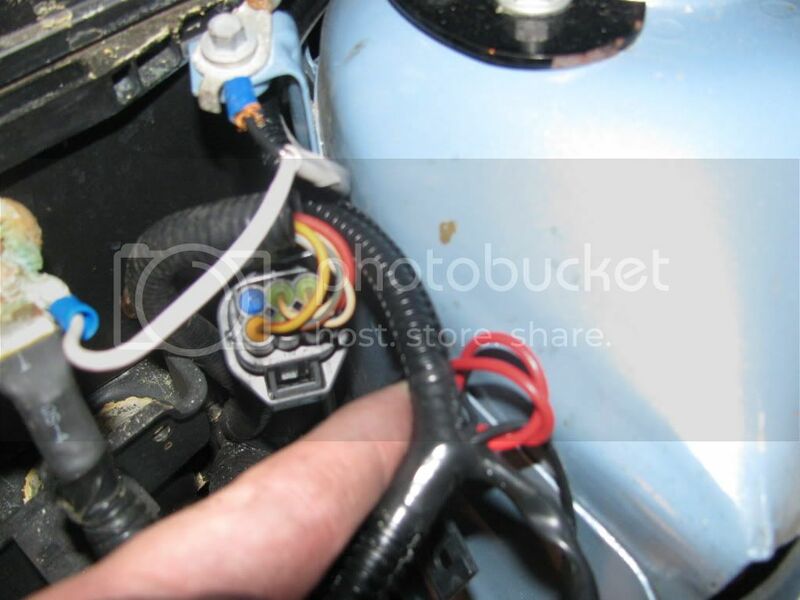 Take apart the steering column cover and locate this bundle of wires and strip back the tape. Locate the White/Orange wire and cut it. 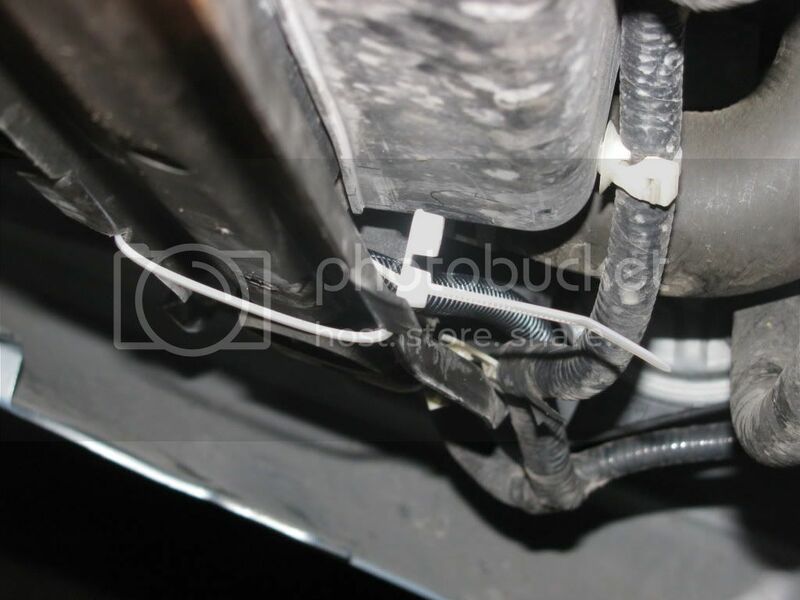 Then take the White/Orange wire from the fog lights and solder the three together and wrap in electrical tape. 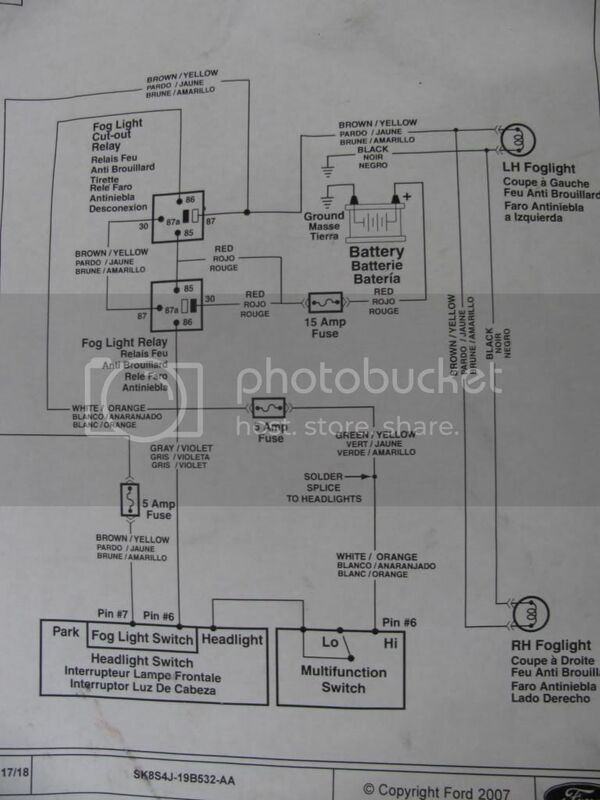 Since I don't have a working scanner I took a picture of the wiring diagram for you to look at. Hope it helps. I've spent too long looking into the abyss. It's starting to look back. good write up man. this should be stickied in the how to section, for future references. 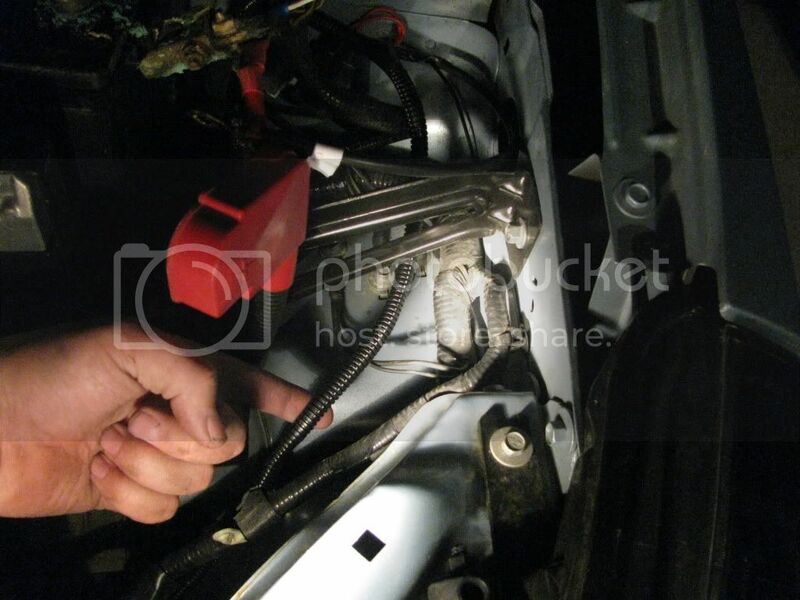 on my 02 i just t-spliced into the head lights and it worked fine. 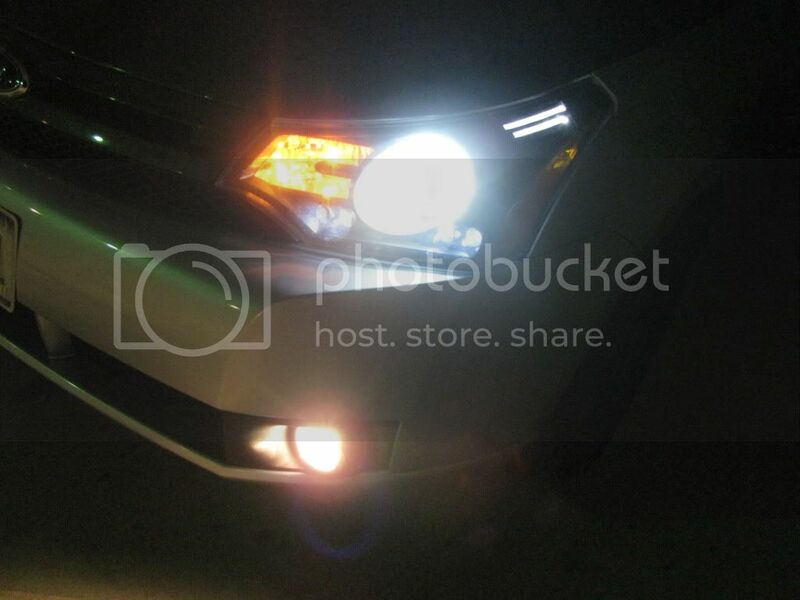 but when i get fogs ill probably do it this way. Nice write up, so how are they now? Quite well if I do say so myself. 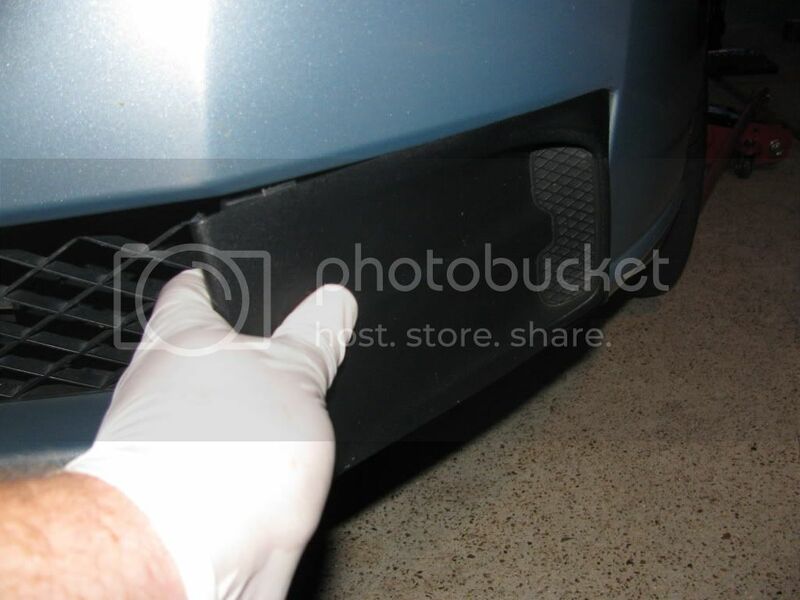 I took a picture with parking and low beams and couldn't tell the diference between the two on film so I said "F" it and posted just the one. you tell me your auto is fun to drive, I laugh in your face. 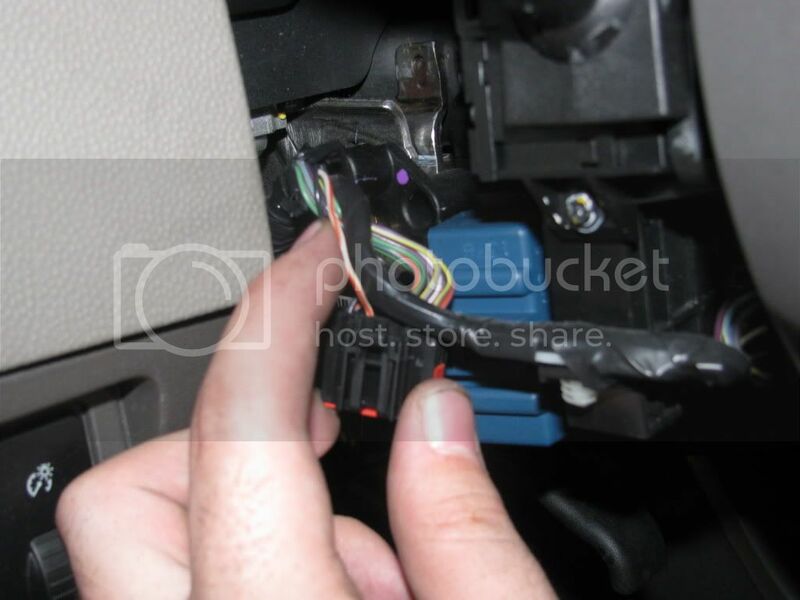 So all that was wrong was that one connector?